Upgrading your windows with Low-E coating can greatly reduce your heating and cooling costs. Not only do they increase the performance of your home, but they can be customized to harness outdoor elements where needed. Low-E 180 windows help with a passive solar heat gain. The glass keeps your house warmer in the winter and therefore reduces your rising heating bills. Install them on east-facing windows if you want heat gain in the morning, such as in a bedroom or a breakfast nook. 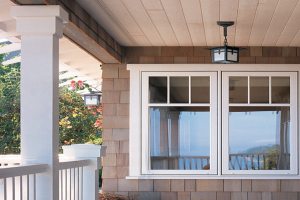 Low-E 272 windows help to reduce heat gain and deliver year-round comfort. They reflect an intermediate level of heat back into the room in winter and reject the sun’s heat and UV rays during summer. The product’s patented coating provides clarity and high-performance low-solar control, reducing window heat gain by 50% compared to ordinary glass. The more insulation your windows have, the more comfortable your room temperature will be year-round. Your windows often take a relentless pounding from the sun during the summer months, and depending on where you live, this kind of heat can steal cool air from your home. JELD-WEN’s Low-E 366 provides you with balanced solar control. Its coating blocks up to 95% of the sun’s damaging rays and provides high visibility. No matter what route your customer decides to go down, www.jeld-wen.com is a great resource for information like this, and can help answer any questions your customers may have about our products. Still have a few questions? Send us a message on Facebook, Twitter, or Instagram, or reach out to your JELD-WEN Territory Sales Manager at any time. What are the different parts of a window called?